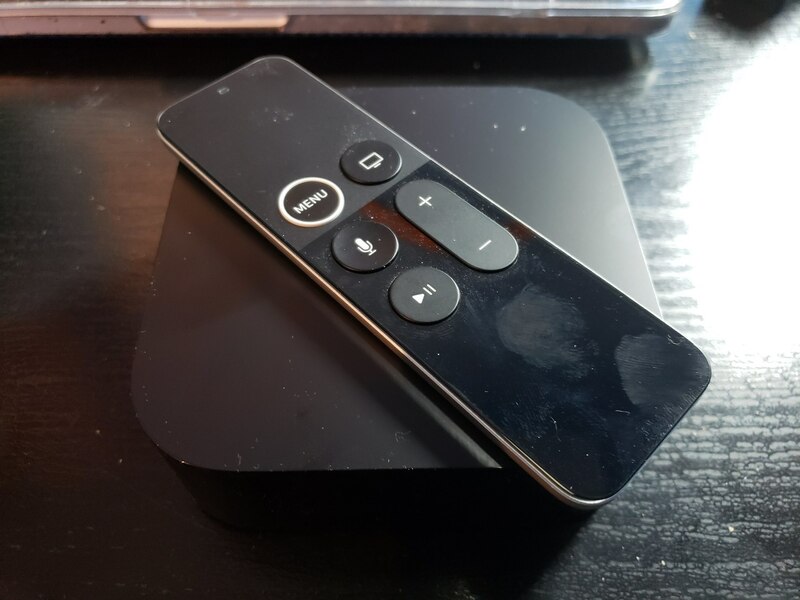 I’ve been testing out the Apple TV 4K for a few weeks now and it’s one of the best streaming media boxes out there, especially for those in the Apple ecosystem. 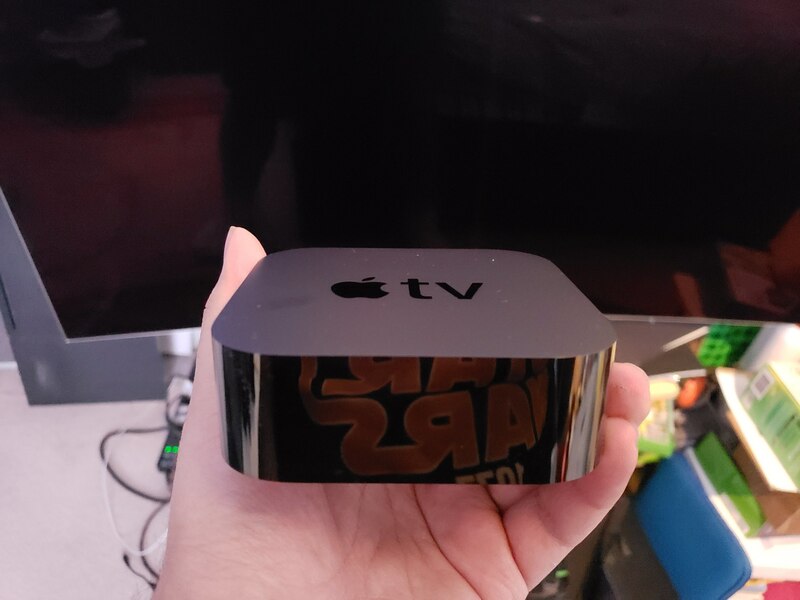 The Apple TV 4K has the same rounded square design as the fourth generation Apple TV that the company released back in 2015. It has an all-black design that will blend in with your home theatre setup. As for ports, there’s the power port, HDMI and a Gigabit Ethernet jack. 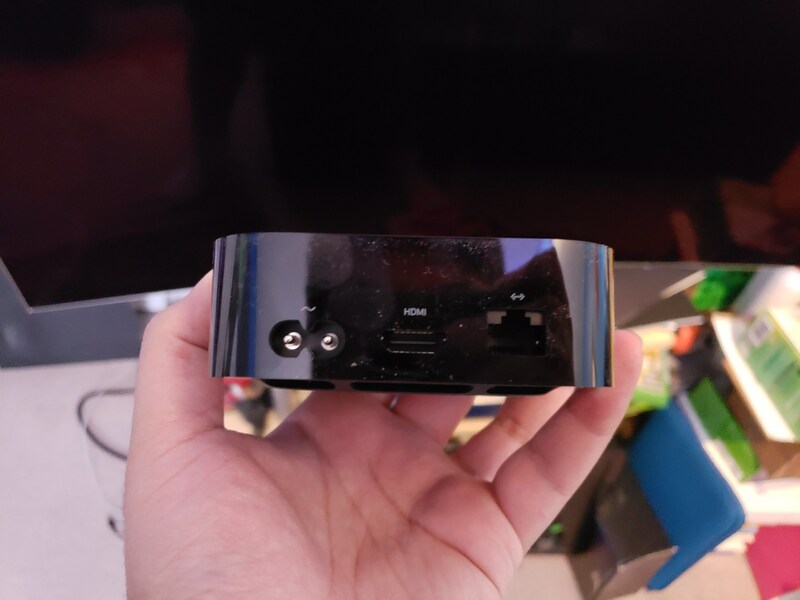 The 2015 Apple TV had a USB-C port but the Apple TV 4K does not. The Apple TV 4K comes with either 32 or 64GB of internal storage. The device comes with a Siri remote which works really well, especially for dictation. To use dictation, all you have to do is hold down the mic button. The remote has a touchpad, Menu button, TV button, mic button, play/pause button and volume up and down which can be used to control your TV’s volume. The Siri remote charges over Lightning via the port on the bottom. One helpful tip is that if you double tap the TV button, you get taken to a multitasking screen where you can quickly switch between your open apps and swipe them away to close them. 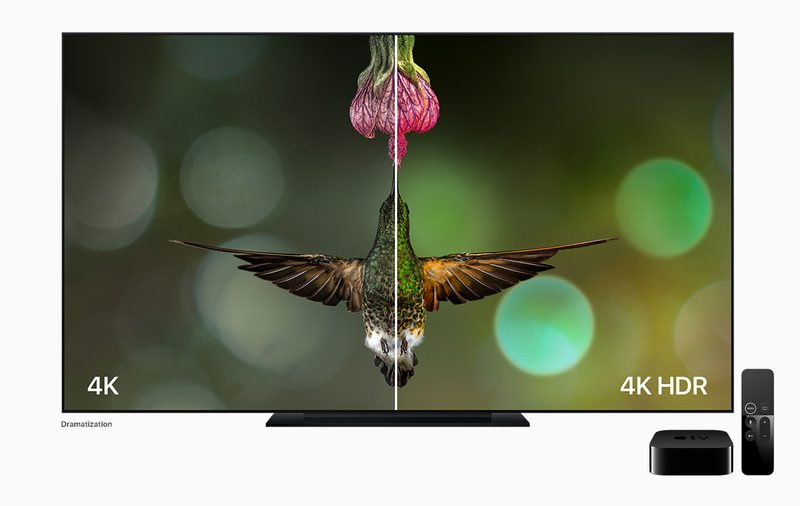 The Apple TV 4K is capable of showing 4K HDR content which is four times more the pixels that in HD. It’s being powered by the A10X Fusion chip. The Apple TV 4K also supports HDR10 and Dolby Vision and will work with 1080p TVs as well. 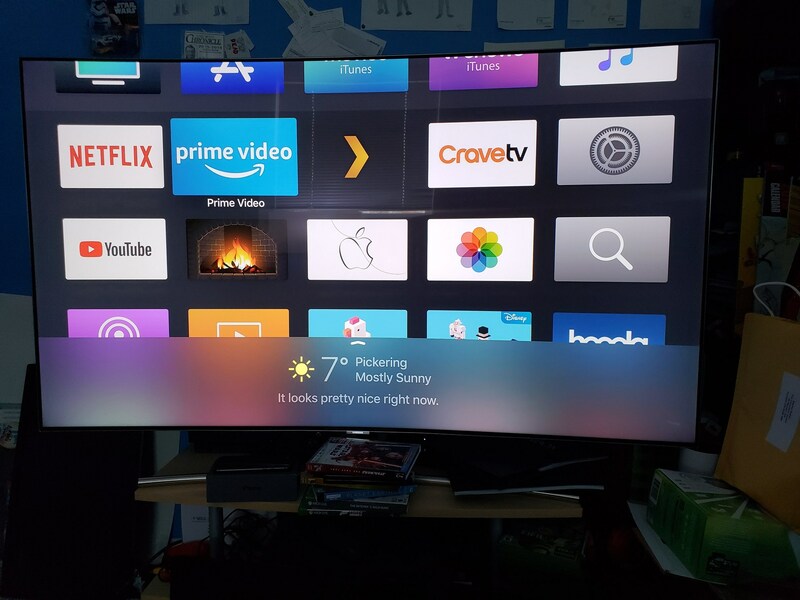 I tested the Apple TV 4K with a 55-inch curved Samsung QLED 4KTV and the picture looked amazing I watched a few movies on the Apple TV 4K including Deadpool, Dunkirk and Spider-Man: Homecoming, all of them looked great on the TV. The Apple TV 4K comes in two storage capacities, 32GB for $229 CAD and 64GB for $249 CAD and is available for purchase from Apple’s website and BestBuy.ca.One thing to note is that the Apple TV 4K does not come with an HDMI cable in the box, you’ll have to buy one separately and don’t buy a $50 one, that’s not necessary. A $7 AmazonBasics HDMI cable will do just fine, just be careful of HDMI cables that don’t support the proper spec to output 4K. Apple was nice enough to send me the Belkin Ultra High-Speed 4K HDMI cable which they sell for $34.95 CAD on their website. The Apple TV 4K runs tvOS and you have access to all your favourite Apple apps such as the App Store, iTunes, Apple Music, Photos, HomeKit. The tvOS is similar to iOS with a grid of icons which you can rearrange by holding down the touchpad. One of the features of the Apple TV 4K that Apple is showing-off is the TV app. The app aggregates all your various streaming services as well as content purchased on iTunes into a single location. The nice thing about the TV app is that it also works on your iPhone or iPad, so you could watch something on your Apple TV 4K and then continue watching on your iPad. 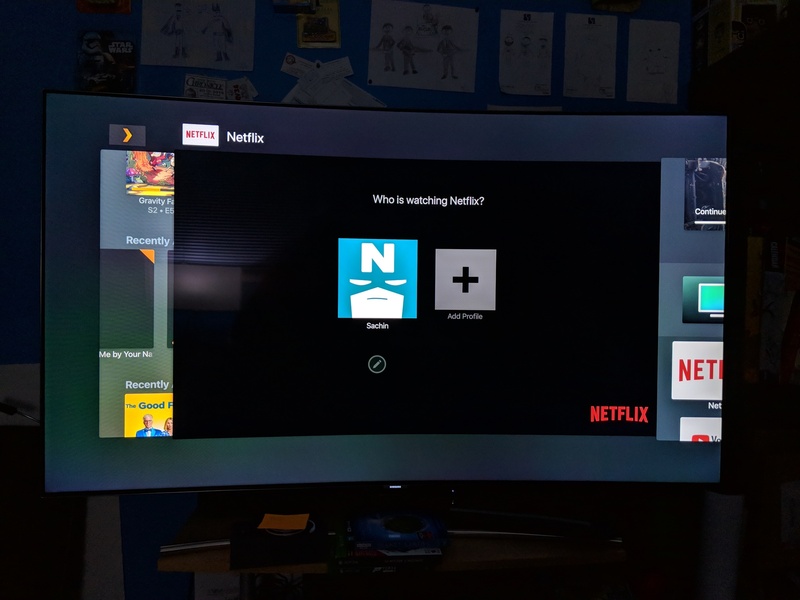 There are a few streaming services such as CraveTV in Canada and Prime Video that work with the TV app but Netflix is not one of them. 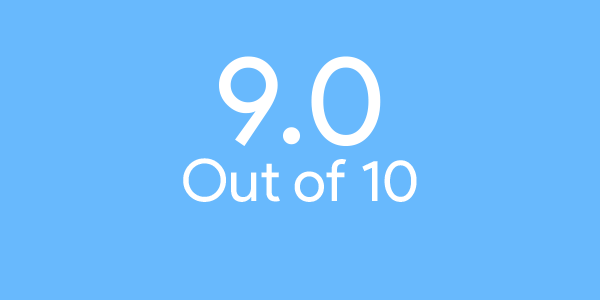 I tested the TV app with an iPhone 8 (that Apple also supplied) and it works well, I just wish that Netflix was supported for Apple’s TV app since I don’t find myself watch a lot of CraveTV. Apple has added the ability to watch sports in the TV app on the Apple TV 4K but that’s currently not available in Canada. On the App Store for the Apple TV 4K, there are quite a few apps and games, you’ve got your streaming apps like Netflix, Prime Video (both of which can stream in 4K), CraveTV and more. I was able to watch The Grand Tour Season 2 in 4K HDR on Prime Video, Somebody Feed Phil in 4K on Netflix and so much more. 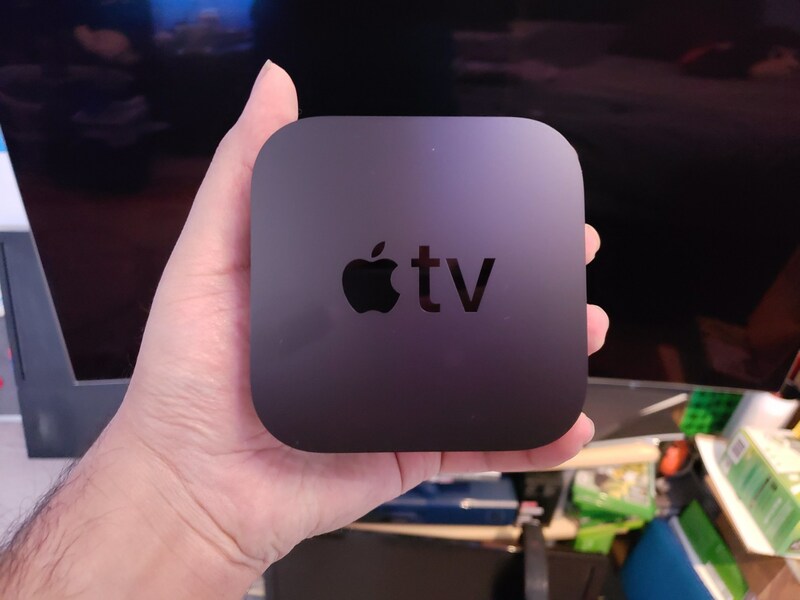 Some of the games available for Apple TV 4K include Asphalt 8: Airborne, Riptide GP2, Alto’s Odyssey, Crossy Road (as well as the Disney variant of the game). 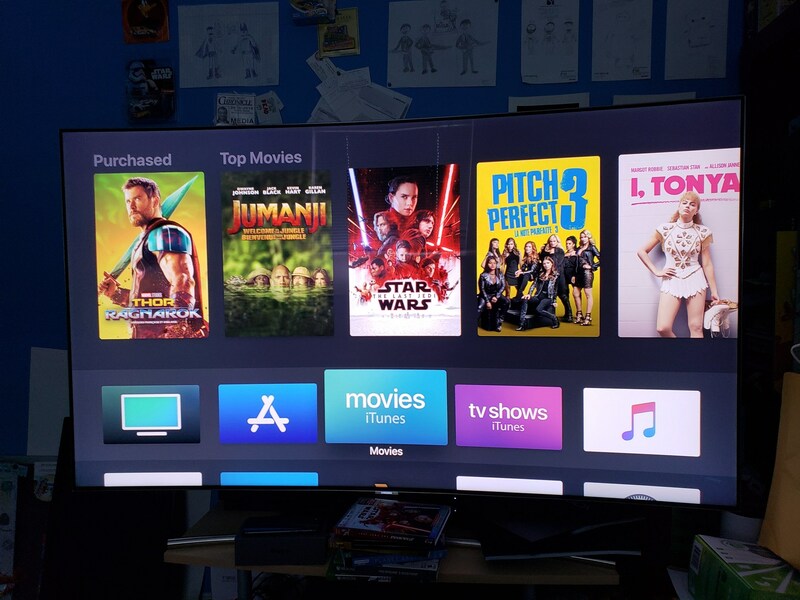 Siri is also built into tvOS, so using your remote, you can ask her questions like, “Find movies in 4K HDR”, “Find ‘80s movies” or “Play the latest episode of Brooklyn Nine-Nine,” and Siri will either show you the content on iTunes or where it is available to watch via a streaming service. If you were to say something like, “Play the latest episode of The Grand Tour,” then Siri would take me to the Prime Video app and start playing the episode. There are quite a few 4K HDR movies to rent or purchase from iTunes. They range anywhere from $4.99 CAD to $6.99 CAD to rent or $9.99 CAD to $24.99 CAD to purchase depending on how recent the movie released on iTunes. 4K movies on iTunes cost the same price as HD movies so it won’t matter which device you make a purchase with, you’ll get the best resolution possible. One thing to be wary of is that even though the content might say 4K, just be mindful of its has HDR or HDR10/Dolby Vision. HDR helps produce a better picture with deep blacks and more true-to-life colours. I did have a bit of trouble with tvOS, where some of the apps wouldn’t load and I would have to reboot the device to get something to work. You can customize the tvOS interface in the setting with options like a light or dark theme and rearrange your apps to your liking. One thing I didn’t like is that sometimes it isn’t clear of what button to press to perform a specific function. Like for instance, to delete an app or game, you would first hold down on an icon and then maybe a couple of seconds later, a pop-up at the bottom would appear to tell you that the play/pause button will show you more options including delete and create folders. Also, sometimes, when I clicked on a piece of content in 4K, it would take a good 2-3 minutes before it would begin to play, or sometimes it would just stay on the loading screen forever and I would then have to reboot the device. Some films may say 4K but that doesn’t necessarily mean that they’re true 4K, they most likely were upconverted to 4K. If you already own any movies on iTunes (whether your actual bought them or do what I do and buy a film’s Blu-ray combo pack which comes with a digital code to be redeemed on iTunes), you’ll be able to watch your films in 4K at no additional cost, as long as you have the HD version of the film. Overall, I really like using the Apple TV 4K. It’s a great option especially if you are already within the Apple ecosystem (i.e you have an iOS and/or Mac and get most of your content from iTunes). 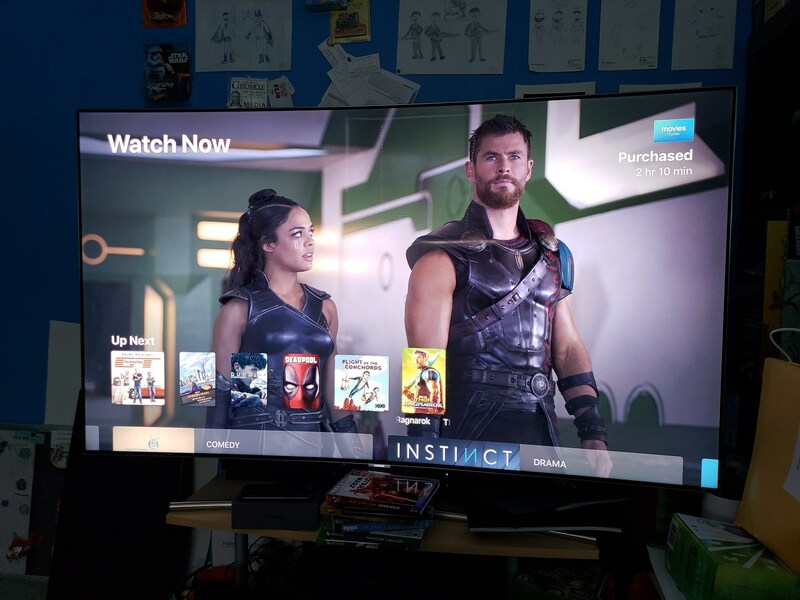 There’s a ton of content to choose from, whether it be from iTunes or streaming services that are available in 4K such as Prime Video or Netflix. Not gonna lie, I kinda want an Apple TV now just to play Crossy Road. Lol. Love that game! !